Supporters of the Community Grid option for replacing the I-81 viaduct hold meeting Tuesday at Temple Concord at 6:00 pm. Supporters of the Community grid option for the future of Interstate 81 thorugh downtown Syracuse don’t feel like their voices are being heard. WAER’s Chris Bolt reports on a petition drive to try and get the ear of Albany on the crucial upcoming I-81 decision. The raised portion of I-81 through Syracuse – called the viaduct – has been the topic of much debate. Any consensus on the best option to replace it as it crumbles seems unlikely. WAER's Chris Bolt talks to Councilor Joe Driscoll about the future of I-81 and support for the community grid option. Among proposals to replace it with another elevated roadway, a community grid that eliminates the bridge section, or a combination of the grid plus a tunnel for some through traffic. Common Councilor Joe Driscoll says there’s a combination of misunderstanding and disinformation. Just last week supervisors and other officials form just about every town in Onondaga County came out against a grid-only solution. In addition to longer commutes into the city, their worries include more traffic being diverted around the city into their towns, and negative impacts on businesses along the current 81 corridor. Mayor Ben Walsh has been steadfastly in favor of the Community Grid option to remove a barrier that has divided the city, and to create areas for positive development that might impact poverty. The Common Council already passed a resolution in favor of the community grid. Driscoll says details will be clearer on all options once an environmental impact statement comes out. The state report will detail environmental, economic and social impacts of each option. Driscoll and others have a petition on line at CommunityForTheGrid.com which they hope raises the voices of supporters. The group is holding an educational meeting Tuesday night at Temple Concord, 910 Madison St, Syracuse, NY 13210, starting at 6:00 pm. The Syracuse common council Tuesday evening re-ignited the debate over what to do with I-81 though the city, because councilor Joe Driscoll says the topic is so important. "When this meeting was announced, the overhwhelming feedback was 'haven't we had this discussion enough? I've heard about this on and on, to death.' My response would be 'no we haven't.' This is the most important decision to affect this region for 50 to 100 years, so it's worth a couple more discussions." Driscoll says turnover on the council prompted the meeting. The Urban Jobs Task Force of Syracuse is circulating a petition demanding trade unions create recruitment and retention programs for minorities and city residents for the upcoming I-81 project. They ask that until this happens, the State Department of Transportation must deny unions a project labor agreement. President of the Task Force Deka Dancil led activists Tuesday in front of the State Office Building on Washington Street to announce their demands. A pair of Syracuse-area state lawmakers presented a report Friday that they say shows a community grid can’t be a stand-alone replacement for I-81 through the city. 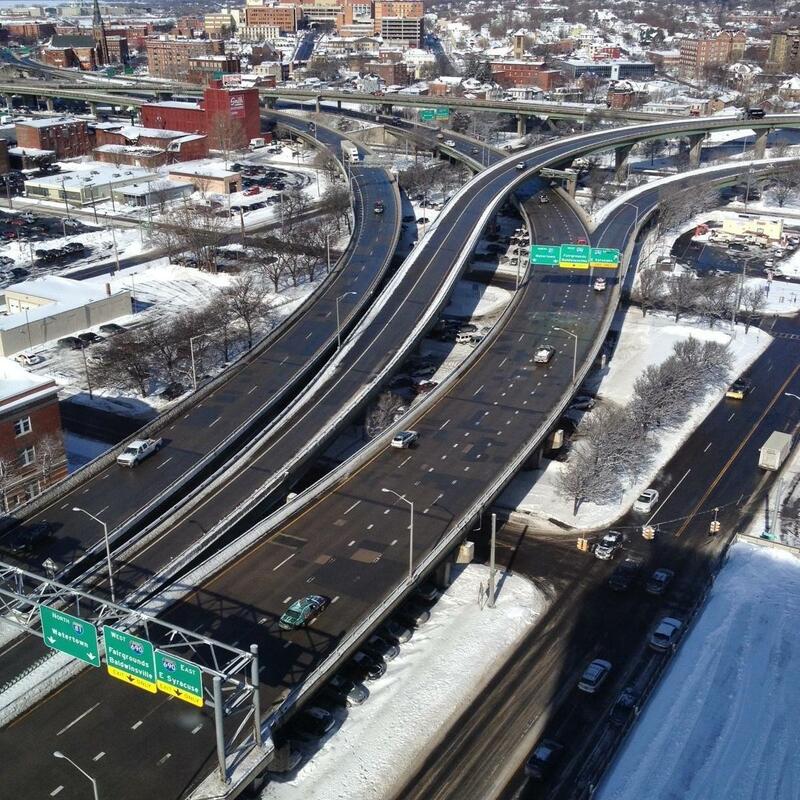 The report by a former Chief Engineer of New York State Department of Transportation found the need to maintain traffic flow in and out of Syracuse. State Senator John DeFrancisco and Assemblymember Bill Magnarelli say a hybrid solution might be best.